Mostert has been confirmed as one of BMW’s factory GT drivers for the IMSA season finale later in the year, the Aussie set to line up alongside Jesse Krohn and John Edwards in the #24 Rahal Letterman Lanigan M8 GTE at Road Atlanta. The deal means Mostert is now facing a packed October, with the Petit Le Mans weekend sandwiched between two of the biggest Supercars races of the year – the Bathurst 1000 and the Gold Coast 600. According to Mostert’s Supercars team boss Tim Edwards, the key to getting the BMW deal done is assurances from the German carmaker that the travel schedule will be manageable for his star driver. Initial hurdles such as a proposed seat fitting with BMW on October 7 – Bathurst 1000 race day – have been cleared, while business class flights are also part of the arrangement to help Mostert deal with jet lag. Mostert is also scheduled to fly out of Australia on the Tuesday after Bathurst, keeping the Monday free should he win a second Great Race crown and be needed for the traditional Monday media commitments. “It’s Tuesday to Tuesday,” confirmed Edwards. “They’re flying him in the pointy end of the plane with the nice seats that lie down flat, so he’ll be sleeping plenty on the way over and the way back. 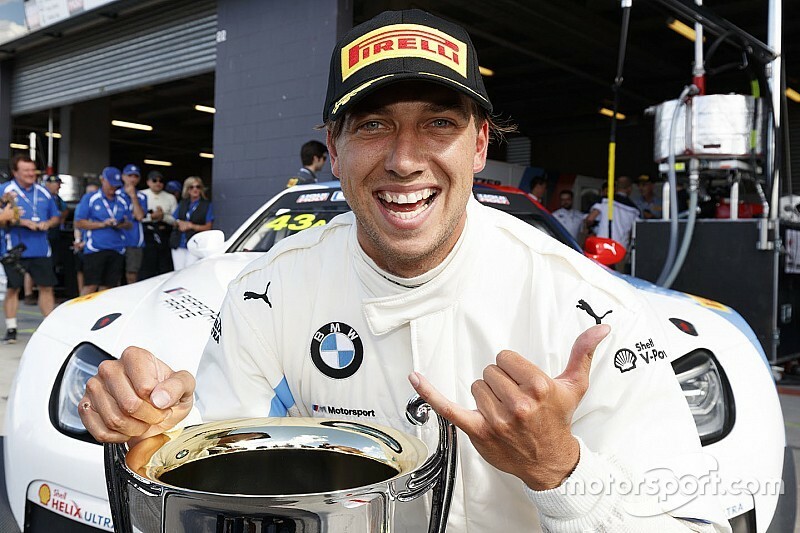 Mostert has enjoyed several GT outings for BMW over the last 18 months, a starring role in a privately-run M6 GT3 at the 2017 Bathurst 12 Hour leading to a factory contract and outings in the Asian Le Mans and Blancpain GT Series. He also makes production car starts in a Ford Focus RS alongside Nathan Morcom. Despite this latest BMW drive coming at a particularly busy time in the Supercars schedule, Edwards says he’s generally happy to green light Mostert’s extra curricular activities. “Chaz is an interesting character,” said Edwards. “What makes him tick is driving cars. You see him driving Focus [production cars] at Winton, races like that. Karts, whatever he can get his arse in to. That’s why he wakes up every morning, he just wants to go racing. “If that’s what keeps him happy and that’d what keeps him match fit and learning things… it seems to work for him.